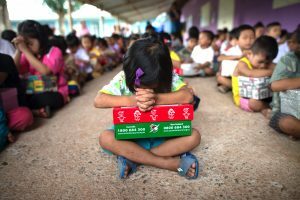 Every year Candlelight has the privilege of participating in Operation Christmas Child – a project of Samaritan’s Purse. A special emphasis is made on ministering the love of Jesus Christ by providing shoe box gifts and presents to needy children all around the world, who would otherwise never know the joy of receiving gifts at Christmas time. Samaritan’s Purse is actively engaged in the spiritual rebuilding of Moldova through Operation Christmas Child and The Greatest Journey. Click HERE to watch this moving video.